Phil Sexton and Steve Flamsteed produced this wine from a clone of unknown origin, what they call Red Dog 67, growing at their Tarraford Vineyard. It’s fermented as whole clusters in large oak vats, then aged in oak of varied sizes. And it’s consistently been one of the most compelling Syrahs coming out of Australia. Yes, I’m in love with the cracked peppercorn scent of this wine and the raspy red-berry flavors. And I’m fascinated by the way the alcohol comes through as a structural element, completely integrated with the oak and grape-skin tannins. Still youthful, this needs time to settle and evolve, but it has the harmony and charm to provide satisfaction if you open it along the way. The old-vine power in this Grenache is at the service of complexity, the flavors concentrated without weight. It keeps yielding mineral layers in the tannins, scents of rose petal tea, a buzzing spice sensation over strawberry and red raspberry flavors. Grown on ancient vines – many of which had been abandoned after Australia’s transition from fortified wine to table wine, acquired by Chester Osborn and now made into an earthy and savory red – this is a youthful pleasure to drink now, and one that will gain with several years in the cellar. Steve Flamsteed produces one of the best values in Australian Shiraz under the Innocent Bystander label (a brand recently sold to Brown Brothers). His 2014 is beautifully fresh, with the otherworldly scent of the flowers and scrub of the Australian bush after a refreshing rain. It has the coolness of freshly turned earth, the earthy-fruity richness of a mushroom ripped from a stump in the woods. This is simpler and not as substantial as the Mea Culpa Syrah, but no less delicious. 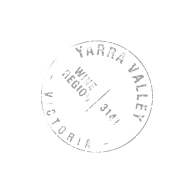 Frederic Guillame de Pury, a Swiss baron, established Yeringberg in 1863, farming 80 acres of vines in the first flush of Yarra Valley viticulture. By the time his grandson Guill began to plant vines again in the 1960s, the property had been turned over to sheep and cattle. Today, Sandra de Pury farms 50 acres of vines, including the Syrah for this crisp red. The wine feels like fresh air at high altitude, a cool-climate shiraz with scents of bay and the briskness of stem tannins (she uses 20 percent whole bunches in the fermentation). It’s a pretty wine that more about dappled light and spice than any direct fruitiness, with clarity and focus that will sustain it for years in the cellar. A great vintage of The Footbolt, this has the balance, savory spice and density of an old-vine wine (all estate grown, the flavors come in any color you like, as long as it’s black – black plum skin, black olive, black pepper – their intensity lightened by a floral note that lasts. This is mouthwatering, a sensation that doesn’t often come to mind with Australian Chardonnay. That’s due, in large part, to a vintage that ripened Chardonnay to crisp flavors of apples and pears with plenty of natural acidity. Phil Sexton and Steve Flamsteed nurtured that freshness through fermentation in 500-liter French oak puncheons (20 percent new), with no added yeast, no malolactic and limited lees stirring as the wines matured. The result is delicate, bright and zesty, with a clean, pleasantly salty finish. The wine’s precision suggests watching out for the release of Giant Steps’ single-vineyard chardonnays from 2015. Sandra de Pury’s father started replanting his family’s estate in 1969, beginning with the Cabernet Sauvignon, later adding Franc, Malbec, Merlot and Petit Verdot. She blends their fruit into this classic cool-climate red, sleek in its integration of herbal complexities and earthy depths. The wine’s tannins are rich enough to feel chocolatey, or maybe like finely worked leather. They provide the base layer for bright cherry flavors and green herb scents, all working together ward a soft, clean finish. Earthy and austere, this is a dry white with playful tension to the flavors, a buzz of acidity stinging the scents of honeycomb and lime. Tight for now, this will develop richer lime flavors with five years in the cellar. Generous and firm from the first taste, this wine rides its youthful energy over concentrated tannins, mingling rose scents with notes of pepper and mustard seed. You could decant this now to serve with a salad of bitter greens and seared chicken liver, or cellar it to let the tannins soften. A cool Shiraz with a transparent red glow to the flavor, this wine’s beefy tones and crushed-peppercorn scents will meld in umami satisfaction with the roast beef. It’s tense and vibrant, just dense enough to fill the structure, lasting on that scent of freshly ground black pepper. Light in body and vast in flavor, this mature Semillon has a flintiness that tightens around its flavors of honeycomb and apricots, holding those flavors to a savory line. Decant it for an oyster pan roast or most anything else from the sea. Stephen Chambers’ family has been growing muscat for fortified wines in Rutherglen since 1858. He blends his Rare Muscat from stocks of wine aged in cask for more than 100 years, producing a superconcentrated essence of sweet grapes and time. The wine’s sugar intensity is matched by powerful lemony acidity, adding a brisk citrus note to the heady scents of golden raisins and beeswax. Enjoy it in small sips, or drizzled over vanilla ice cream. Chapter 24’s blend from volcanic soils, this vintage of The Fire is generous and warm, with a scent of brown spices and cherry compote. The flavors are a bit more oak-driven compared to the 2013, given to cinnamon and cocoa flavors, which lend weight but also weigh the wine down a bit. Cellar for six months or more to let the oak and fruit integrate. What this wines lacks in complexity it more than makes up for in its purity, freshness and mouthwatering buoyancy. Scents of smoke and toast give way to a plush robe of black cherry flavor, juicy, persistent and satisfying. Starting off dark and pungently sappy, with floral scents of violets and fennel, this reveals its elegance and freshness as it seems to gain focus with the air. The fruit tightens into spicy cranberry and raspberry, with juicy, crunchy acidity. It’s simple, youthful pinot to enjoy with roast duck. An opulent viognier with spicy baked peach fruit, this is cool and dense, lasting with clean, zesty flavors. Pour it with mussels in a curry broth. A youthful Beaujolais, this offers generous licorice- and cherry-scented fruit up front, then dives into meaty tannins, as sweet and spicy as saucisson. The acidity brings out floral notes in the fruit, while the silky tannins are ready to pick up on the grizzle of a grilled steak – though this will only get better with a few more years of bottle age. From stocks dating back into the early 20th century, this wine has concentrated in cask knot a dark essence of caramel, butterscotch and bitter orange flavor. The treacle-sweet fruit and warm bitterness play off each other, with a slow burn to the long, clean finish. Emily Laughton makes this wine from an organically farmed vineyard planted in the granitic soils (rather than Jasper Hill’s Cambrian soils) south of Heathcote. The flavors are variations on umami, from black mushrooms to briny olives and notes of leather. The tannins add hints of bitter chocolate and warm edges of crushed stone. It’s a substantial body (15.5 percent alcohol) but carries itself well. John Duval, who served as chief winemaker for Penfolds from 1986 through the 1990s, makes Eligo with fruit he souces in the Barossa and Eden valleys. His 2013 is a big wine, packed with black fruit and chocolate-rich oak tannins. As substantial as it is, the wine remains firm, juicy and clean. Bright with saturated flavors of peaches and ginger, this wine buzzes with energy and green spice. Barrel fermented in French oak (40 percent new), this wine is tightly focused, with enough fruit to outlast the wood in the finish. Ready to drink now and over the next several years, it will add spice to grilled marron, Australian freshwater crayfish. With its flavors of brandied aprictos and honey, this is an old-fashioned sweet Muscat that finishes clean. Stony and floral, this is a black and savory Beaujolais with persistent, earthy tannins. There’s a rustic, tomato-skin briskness to the tannins, suited to port rillettes or a country pate.